Surface depression in the wheelpath. 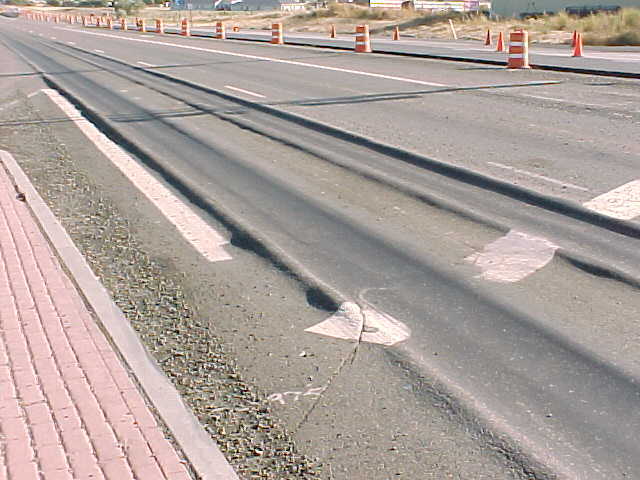 Pavement uplift (shearing) may occur along the sides of the rut. Ruts are particularly evident after a rain when they are filled with water. There are two basic types of rutting: mix rutting and subgrade rutting. Mix rutting occurs when the subgrade does not rut yet the pavement surface exhibits wheelpath depressions as a result of compaction/mix design problems. Subgrade rutting occurs when the subgrade exhibits wheelpath depressions due to loading. In this case, the pavement settles into the subgrade ruts causing surface depressions in the wheelpath. Figure 1: Severe mix rutting. Ruts filled with water can cause vehicle hydroplaning, can be hazardous because ruts tend to pull a vehicle towards the rut path as it is steered across the rut. Insufficient compaction of HMA layers during construction. 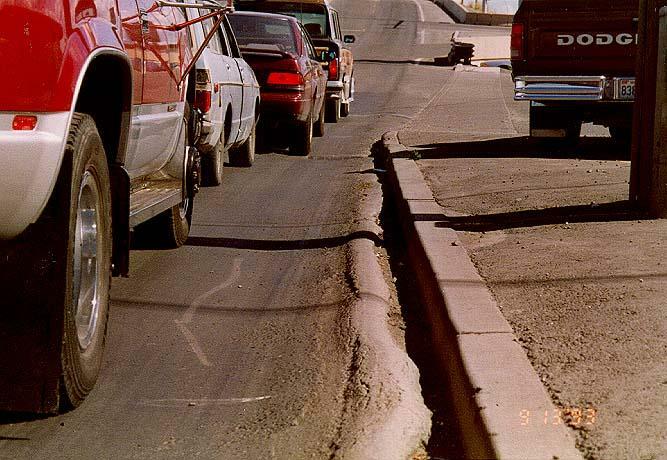 If it is not compacted enough initially, HMA pavement may continue to densify under traffic loads. Ruts caused by studded tire wear present the same problem as the ruts described here, but they are actually a result of mechanical dislodging due to wear and not pavement deformation. 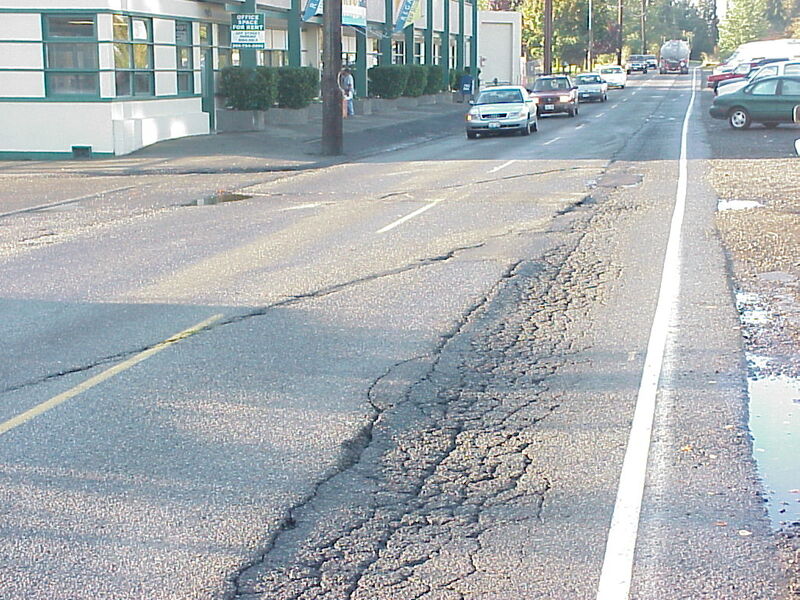 A heavily rutted pavement should be investigated to determine the root cause of failure (e.g. insufficient compaction, subgrade rutting, poor mix design or studded tire wear). Slight ruts (< 1/3 inch deep) can generally be left untreated. Pavement with deeper ruts should be leveled and overlaid.